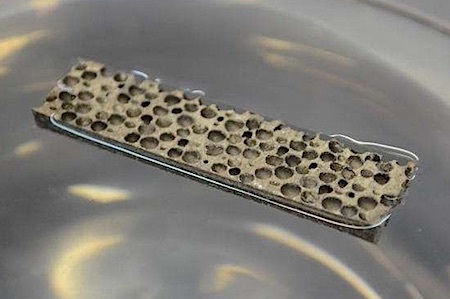 A lightweight metal matrix syntactic foam has been developed by researchers from Deep Springs Technology (DST) and the New York University Polytechnic School of Engineering. Erich von Harben is something of a scientist and explorer himself, and the last time that I saw him he had just returned from a second expedition into the Wiramwazi Mountains, where he told me that he had discovered a lake-dwelling tribe using canoes made of a metal that was apparently as light as cork and stronger than steel. He brought some samples of the metal back with him..."